Fun Extra: There's a reason these folks are called Sticker Swaps. If you send them an envelope of mixed stickers they'll send one right back to you! Talk about growing a cultured sticker collection! This is my fourth Sticker Swaps pack and each month I'm impressed with the breadth of graphic artistry. Some stickers are cutesy, others are more geared toward street art. That's the great thing about Sticker Swaps - there's no themes or genres so anything goes as far as sticker styles. I'd be lying if I said that the first thing that caught my attention wasn't the huge snail sticker. For one, snails and I really don't get along so of course I'm going to notice if one is staring up at me. Secondly, he's got sticks for eyes. Ouch! 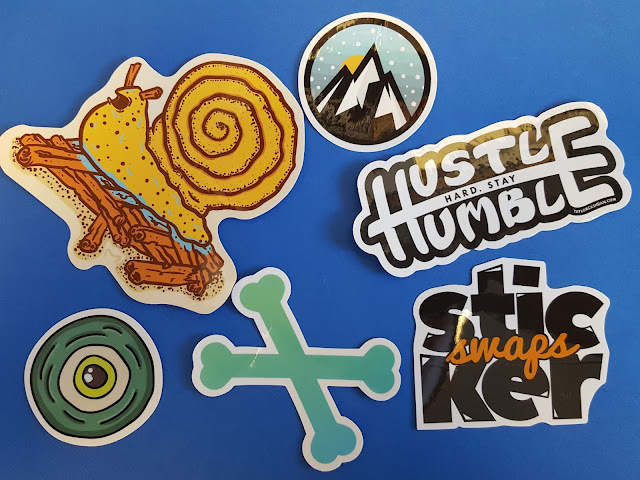 The Hustle Hard Stay Humble sticker from US graphic designer Taylor Cashdan also stood out because I think it's an awesome message: work hard but never forget where you came from. April's pack also featured two stickers from UK-based artist Cocorino - the Everest sticker up top and the crossbones. And I'll let you in on a little secret: the crossbones are featured on a hat that Cocorino just released on May 11 in extremely limited quantities - go get yours now! You might also recall that two of his stickers were included in March's Sticker Swaps. If you love original sticker designs go pick up a subscription and use the code SHERI50 at checkout to get 50% off your first month. You'll love the originality that oozes from these stickers. Most are from up-and-coming designers striving to make a name for themselves through their art. 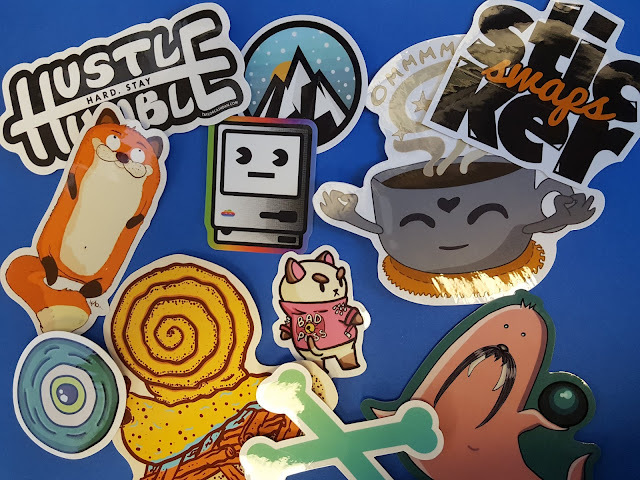 If you're a sticker aficionado, you'll surely appreciate the value from this subscription. Most small-batch stickers sell for $2-3 each, and here you get about 10 per month. 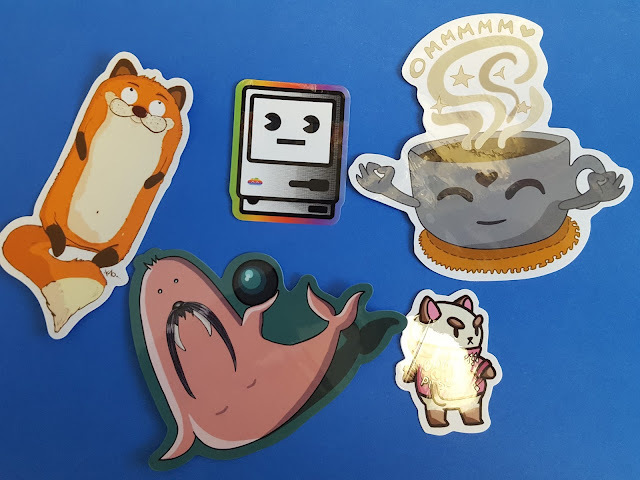 Or if you're a designer and would like your stickers to be featured in a future Sticker Swaps pack, let them know by dropping them a line! Note: I received this sticker pack for free in exchange for my honest review.